The Software Updater helps keep commonly used third party software up to date to eliminate potential security risks. Malicious threats or attackers often use leaks in outdated software to access your PC. This feature displays the most popular programs installed on your PC and allows you to easily update them. 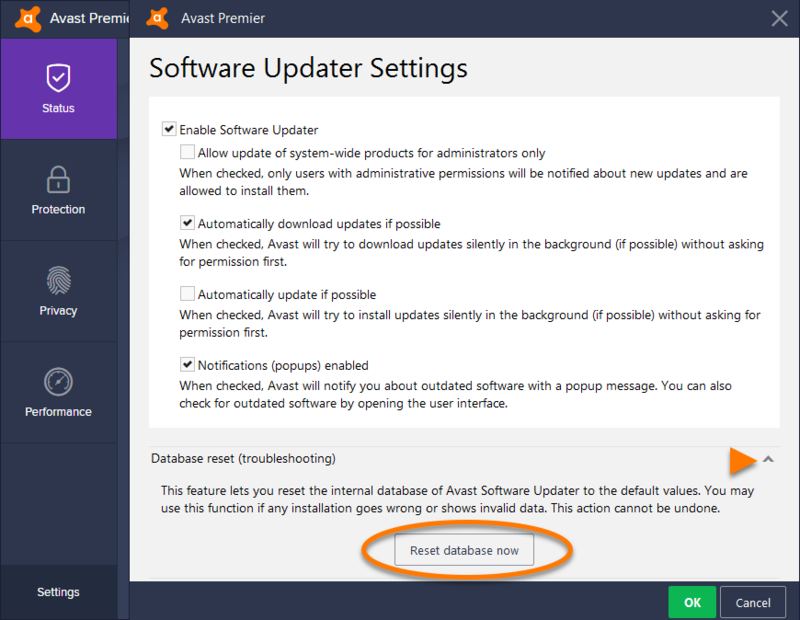 If the Software Updater doesn't work as expected, for example if any application update goes wrong, or invalid application status/version is shown, you can try to reset the internal database of the Software Updater to the default values. 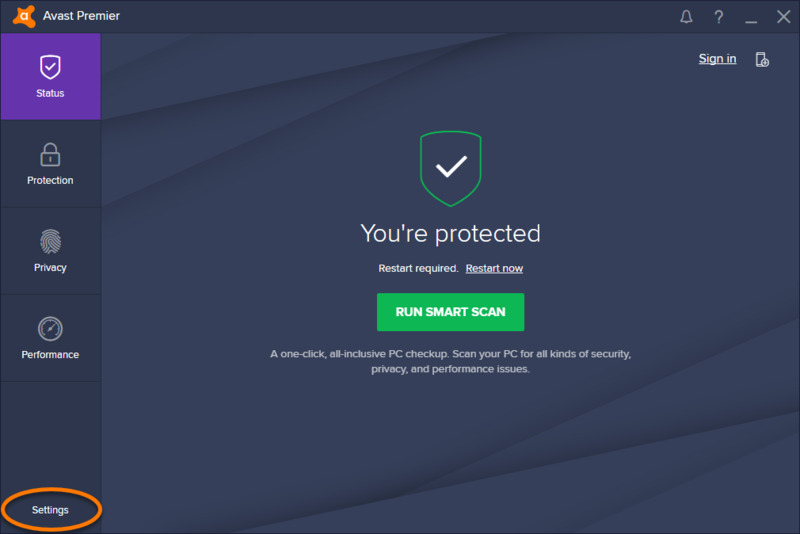 Open the Avast user interface and select Settings. 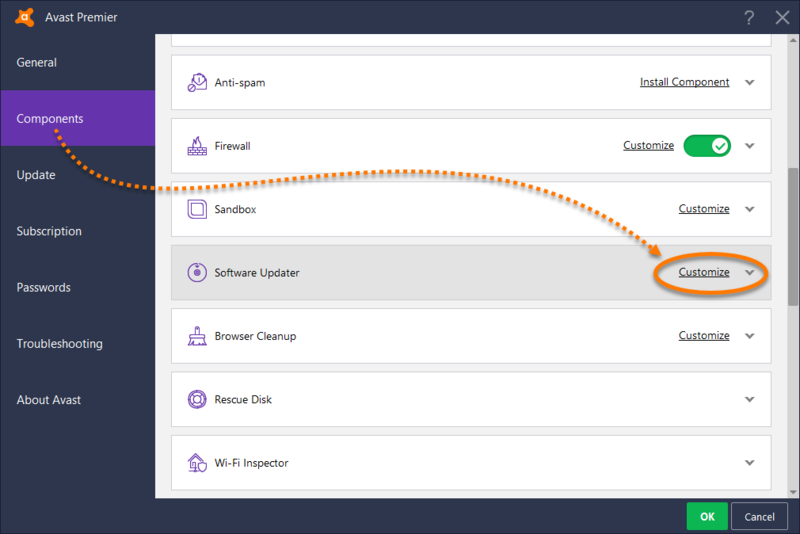 Select Components and click Customize next to Software Updater. Click the down arrow to expand the Database reset (troubleshooting) panel, and click the Reset database now button.